Sources of High Protein Vegetables – When talking about your protein indirectly reminded of meat, eggs, or dairy foods. Though there are other sources of protein that is healthy for us. The source is coming from vegetable around us. Who says that vegetables do not contain protein? Here we look at 10 types of vegetables are a source of protein. Sweet corn is a protein source that we often ignore. We only see the protein in meat or milk, whereas in vegetables such as sweet corn also contains a lot of protein. In one corn alone is said to contain 4 grams of protein. Cooking this vegetable can be done by boiling the corn in water for 10 minutes. Let stand 5 minutes to warm up and enjoy. In one cup of Brussels sprouts is said to provide 4 grams of protein. Even, the vegetables are not only rich in protein but also contain many other vitamins and minerals such as potassium, folate, and fiber. Cooking Brussels Sprouts can be of various kinds, and one is to make soups, entrees, and others. Asparagus Cuisine also provides plenty of protein value to health. In one cup of asparagus contains over 4 grams of protein. You can present these dishes to cook for 5 minutes. Besides, Asparagus can also be cooked by way of baking it. Even this is the best way to prepare protein. Furthermore, the high protein vegetables sources are Artichokes. In a large Artichokes contain up to 5 grams of protein, this is a big number, especially in some Artichokes. Artichokes can cook a variety of ways such as adding in the soup, making salads, dips, and others. Spinach is a high protein vegetable source that unexpected. That’s why eating spinach can be healthy, encourage and increase energy. In every one cup of cooked spinach contains 5 grams of protein. Aside from being a source of protein, spinach also contains lots of fiber, calcium, iron, folate, potassium, vitamin A, vitamin K.
You can cook the spinach with a variety of recipes such as soups, casseroles, salads and others. Who does not know with this green vegetable cauliflower shaped? Broccoli plant not only a delicious cuisine that ready to fight cancer and provide folate but also rich in the protein. In one cup of broccoli cooking gives as much as 6 grams of protein. You can cook the broccoli to make soup, vegetable soup, steaming, salads and others. Besides broccoli, the vegetable protein source is bean sprouts. But protein in bean sprouts vary, it depends on the type of bean sprouts that you cook. Some sprouts contain 8 grams of protein, and another sprout is lower. You can cook the bean sprouts by boiling water for 5 minutes and make soup or sauté with olive oil. Peas are not only rich vegetables to protein but also contain many vitamins and other minerals. Green peas protein content is 9 grams in 1 cup each. Split peas contain more than 16 grams of protein, while chickpeas contain 14 grams of protein. 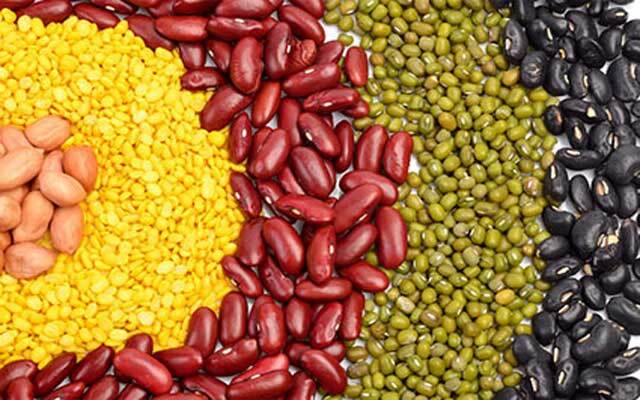 Navy, baked, pinto, black, five, and soybeans are several types of dry beans are a source of protein. Dried beans are full of protein. One cup contains 12-22 grams of protein. Tofu is made from soy also contains a lot of protein to your diet. Furthermore, high protein vegetable sources are lentils. Lentils can be included in various types of cuisine. In one cup of lentils able to provide 18 grams of protein. Make lentils soup, burger and put the lentils in rice is the best way of presenting the food full of protein. High protein vegetables are usually derived from nuts. Thus, these foods can replace meat in providing many nutrients, especially protein.